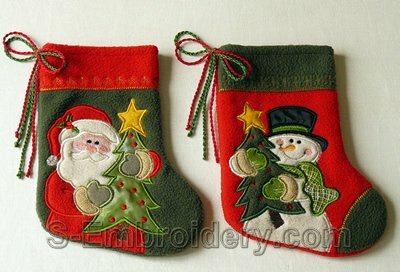 A set of 2 Christmas machine embroidery applique designs - a Santa Claus and a snowman. 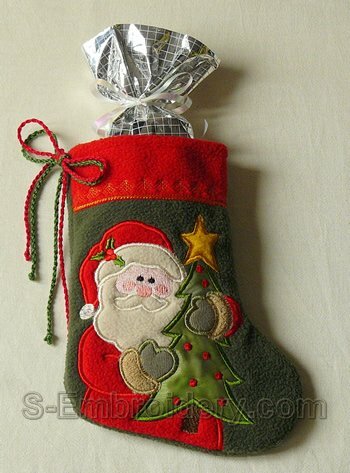 The applique embroideries are meant to be used for creating Christmas stockings like the ones, featured on our web sites. The stockings are made in the hoop. Of course, you could use the 2 applique designs in any machine embroidery project you like. The designs are available in 2 sizes - the smaller will fit in 5x7 (130x180) and the large size is for larger hoops. 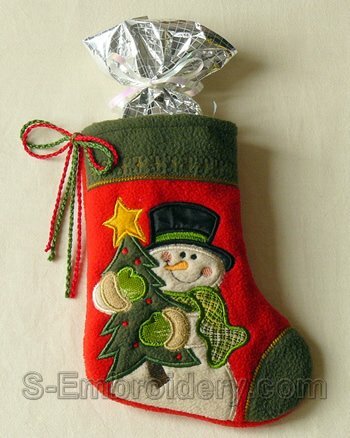 The 2 designs come with a supplementary machine embroidery file (used for creating the lining of the stocking) as well as design information and instructions in PDF format. Note: To create the stockings featured here, you will need some fabric.